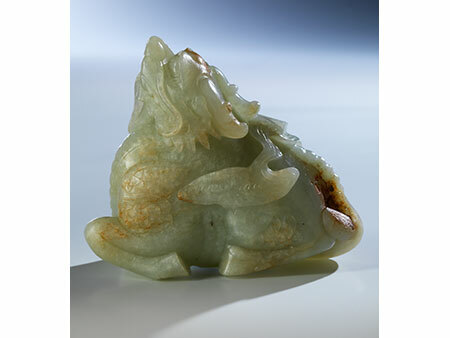 China, Qing dynasty, 17th/ 18th century. 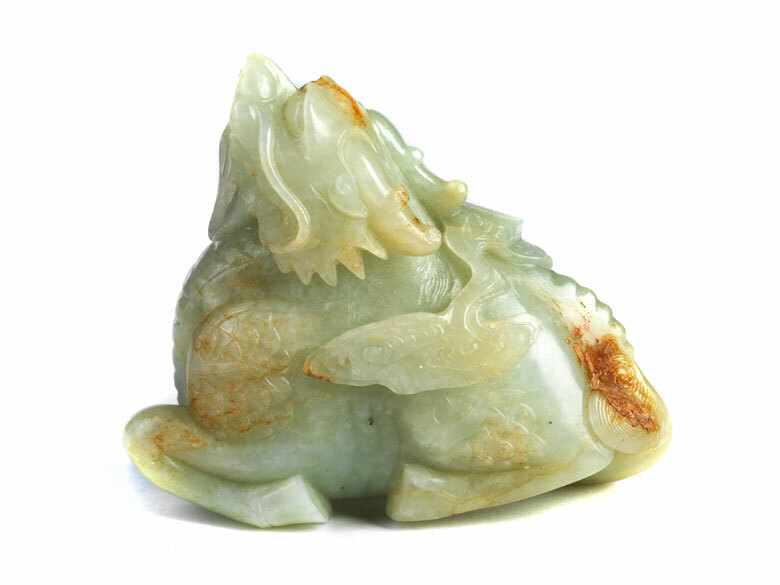 Qilin, exhaling a cloud of qi, in dormant posture, while head and right front paw are risen to attention. 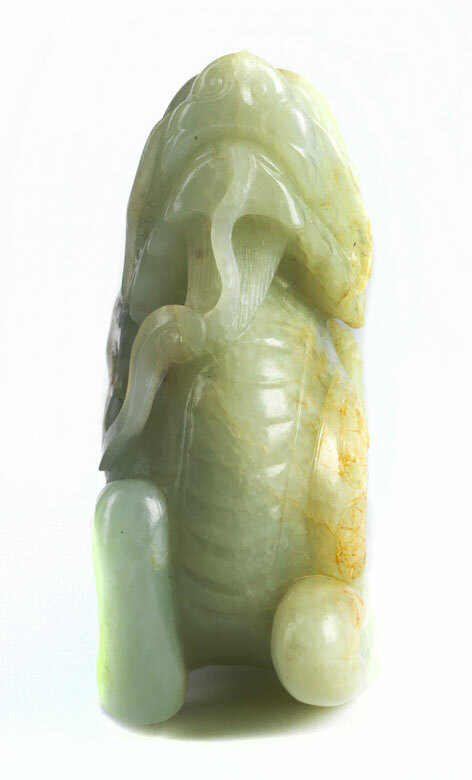 Very fine representation of the horns, mane, the entire head, the body and the tail of the irenic mythical creature. 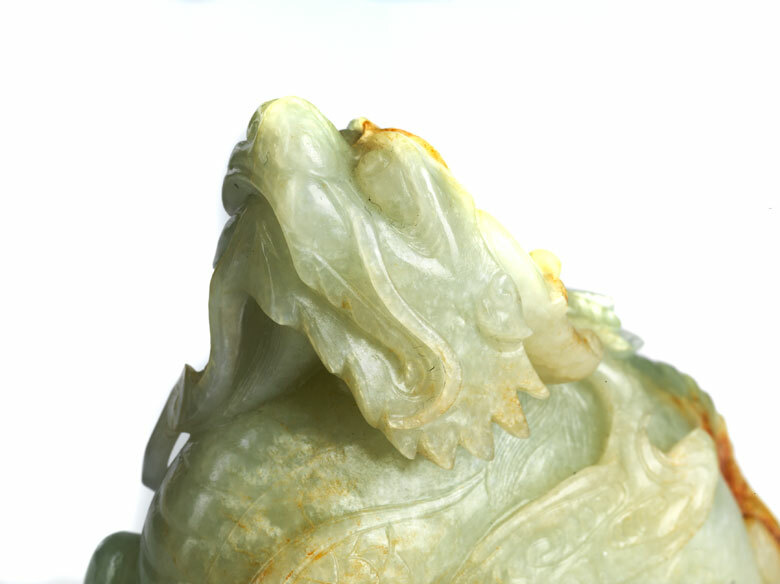 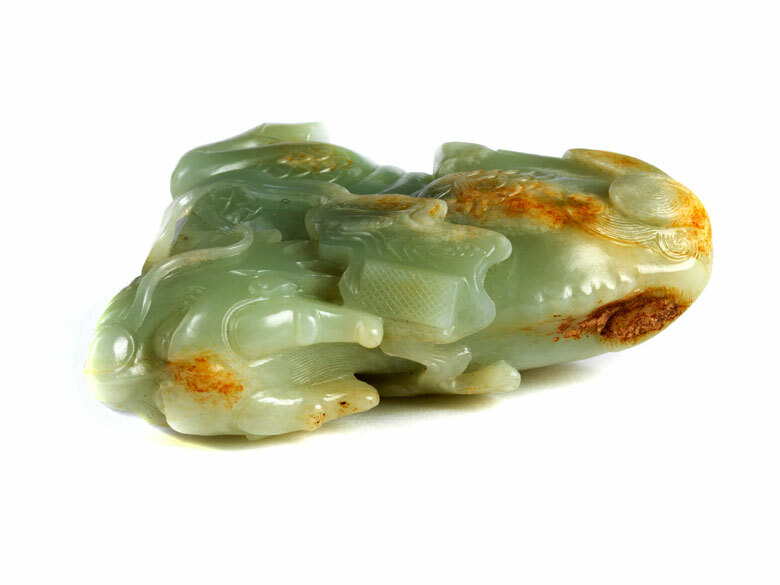 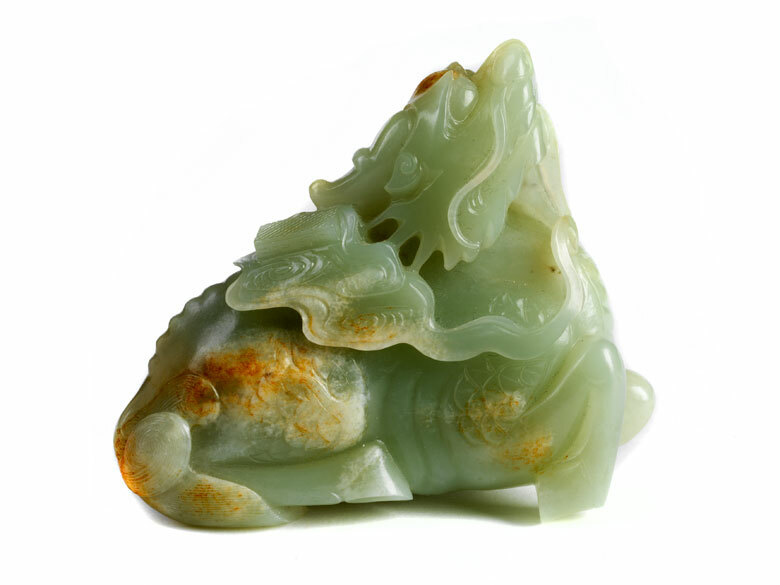 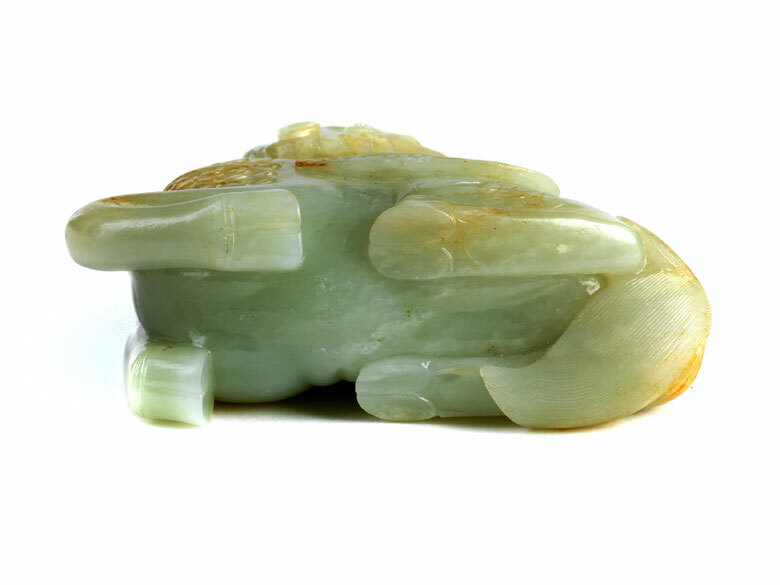 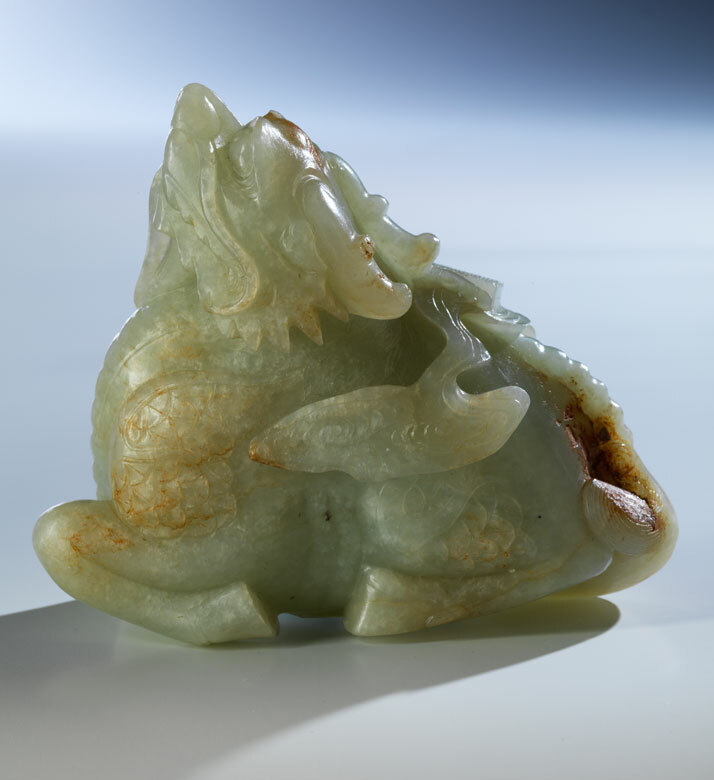 Celadon- green jade with few opaque ivory and russet inclusions.